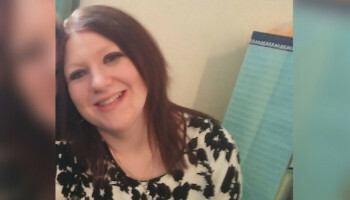 A mum in the US has earned the non-existent title of 'World's Champion of Childbirth' after giving birth to six babies in less than 10 minutes. 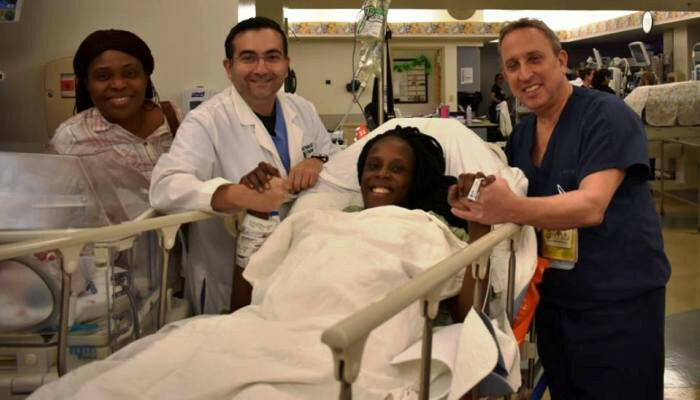 Thelma Chiaka passed her sextuplets - which were comprised of two pairs of twin boys and one pair of twin boys - between 4.50am and 4.59am on Friday at the Woman's Hospital of Texas in Houston. 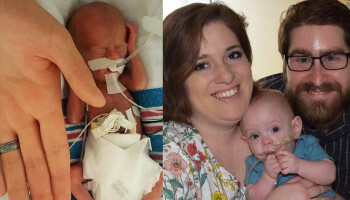 The babies weighed between 1lb 12oz and 2lb and 14oz and were all in a stable condition in the hospital's advanced neonatal intensive care unit. The hospital shared the staggering news in a statement, in which it said the chances of Thelma giving birth to sextuplets was one in 4.7 billion... which makes you wonder what the odds are of giving birth to sextuplets in less than 10 minutes. The statement, which was issued on Friday, read: "The Woman's Hospital of Texas, an HCA Houston Healthcare Affiliate, which delivers more babies than any other Texas hospital, early this morning welcomed sextuplets, the odds of which are estimated at one in 4.7 billion. "Two sets of twin boys and one set of twin girls were born this morning between 4:50 and 4:59 a.m.
"The babies were born at weights ranging from one pound, 12 ounces and two pounds, 14 ounces. 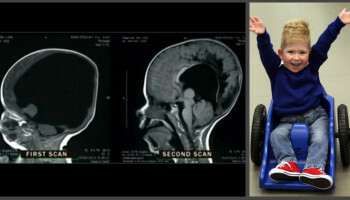 They are in stable condition and will continue to receive care in the hospital's advanced neonatal intensive care unit. "The medical team of Dr. Ziad Haidar, Dr. Sharmeel Khaira and Dr. Israel Simchowitz say the mother, Thelma Chiaka, is doing well." The hospital also shared a picture of the medical team with the mother-of-seven, who looks understandably relieved. Later that morning, Thelma named her daughters Zina and Zuriel, however, her boys remained nameless. Here's a suggestion Thelma, how about Zachary, Zachariah, Zane and Zayne... just for simplicity? As rare as sextuplets are, they're hardly septuplets are they? 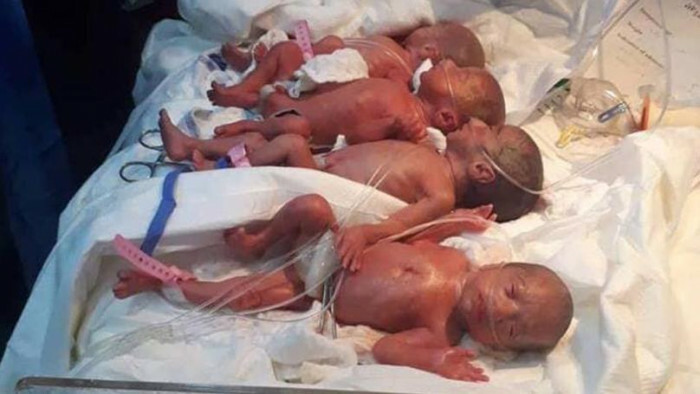 A woman at a hospital in the Diyali Province of eastern Iraq went one further than Thelma last month,giving birth to seven babies for what was believed to be the first time in the country's history. The 25-year-old mother wasn't named, but Firas Al Izzawi, a spokesperson for the local health department said it was a natural birth and that she was 'perfectly healthy' following the multiple deliveries. So she may have gone one further, but she can't compete with Thelma's nine minute time... not that it's a competition. Everybody's a winner; including the limousine dealers of Houston and Diyali Province.